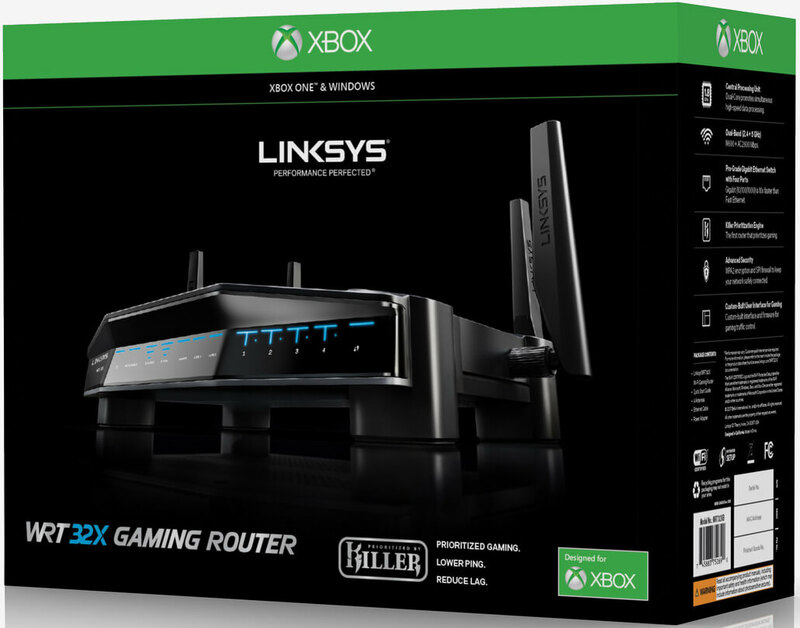 Linksys earlier this year at CES 2018 announced a new gaming router that prioritizes traffic from Xbox One consoles. Now, that piece of networking gear is finally available to purchase. The Linksys WRT32XB Gaming Router features a dual-core processor that “promotes simultaneous high-speed data processing” and four pro-grade Gigabit Ethernet ports as well as USB 3.0 / USB 2.0 / eSATA connectivity to facilitate sharing across your network. There are also four adjustable / removable antennas for enhanced Wi-Fi coverage. The WRT32XB incorporates Rivet Network's Killer Prioritization Engine (KPE) which can auto-detect any Xbox One on the network and accelerate / prioritize its traffic. According to Linksys, the KPE on the WRT32XB also shields gamers from extreme lag spikes at the router level and reportedly reduces peak ping by up to 65 percent versus non-gaming routers. As comicbook.com highlights, prioritizing gaming traffic from specific devices can be done on many of today’s routers so long as you’ve got a bit of networking knowledge. Something like the WRT32XB really just simplifies the process / does the work for you. The Linksys WRT32XB Gaming Router goes on sale today at major retailers including Amazon, Best Buy and Walmart for $249.99. For a limited time, you can also score a three-month membership to Xbox Game Pass as part of the purchase.